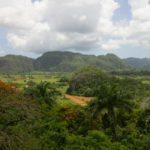 Why there are two currencies in Cuba – and what you have to pay attention to! 3 Why “CUC” at all? What you have to watch out so you don’t get ripped off! So first of all: there are still two currencies in Cuba, the Peso Cubano (CUP), in which the salary is paid and the convertible Peso (CUC), which is needed e.g. for imported products or most private restaurants. 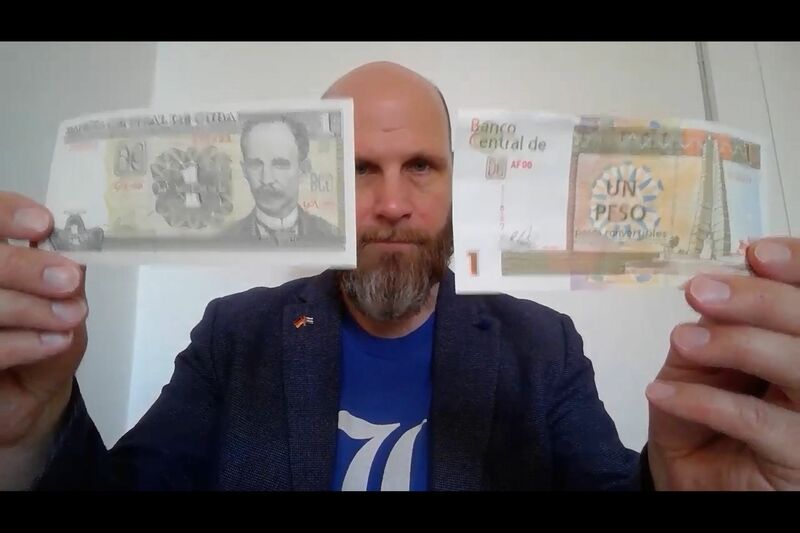 The convertible peso (CUC) is often referred to as the tourist currency, but this technically is wrong – however, tourists usually only come into contact with the CUC and only rarely with the Peso Nacional. 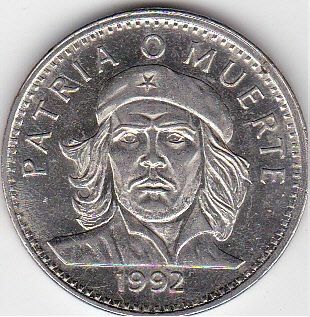 The Peso Cubano is often called Peso Nacional or Moneda Nacional. The CUC is actually only the dollar substitute that has made the country independent of the foreign currency – the dollar. was for quite some time the inofficial hard currendy. But it is not something like West German Mark versus East German Mark, one currency for the simple people and the other for the tourists and functionaries!!! Everyone can exchange Pesos Cubanos for CUC, which works in any exchange office (CADECA). The dollar was for a long time an illegal second currency until it was finally legalised in 1993 – and replaced by the CUC in 1994. Many shops now also accept Pesos Nacionales. In the nineteen nineties, there were extra shops that had special products you couldn’t buy somewhere else – import products etc. The “Shops For Earning Foreign Money” were that. It enabled the state to get back the dollars the population had. But the name of the original shops has been preserved and it says a lot: TRD Caribe. These are the “Tiendas de Recaudación de Divisas”, i.e. the “Shops to get the dollars back” ;), whose only purpose was and is to skim off the financial strength of the rich Cubans. This also means: most products are expensive, significantly more expensive than outside of Cuba. A toaster is available for 30,- CUC, a stand-alone electrical fan for 150,- CUC, which is about 2-4 times as much as here. Of course, now, it’s not only the TDR Caribe in which imported products can be bought, there are others shops nowadays – but the principle is the same. There is of course a intelligent system behind this: the state uses the high prices to tax people who can buy imported products, it’s in other words a kind of luxury tax. Unfortunately, poorer Cubans sometimes have to buy things in the shops, too. And for all of you who are in Cuba for the first time: a simple sandwich, a simple pizza in a cheap street shop with many Cuban customers, never costs 15 CUC, these are of course Pesos Nacionales. Don’t laugh, it happens regularly that one of our German students pays too much 😉 And really complicated it gets with that tasty Cuban Expresso: it’s damn cheap on the streets – and delicious! – and costs 1, 2, sometimes 5 Pesos Nacionales, so not 1-2 CUC, which would still be ok for us. 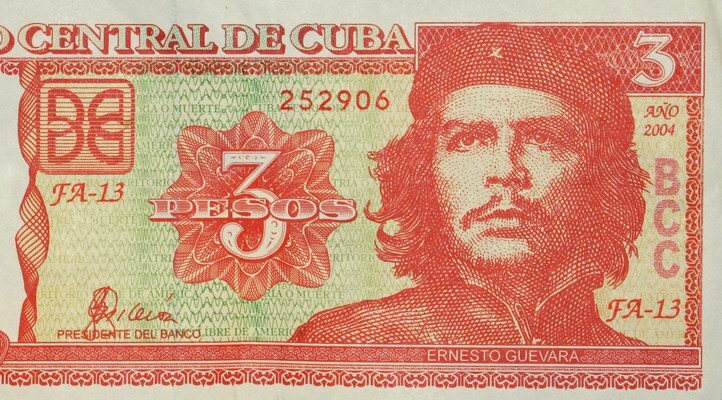 Because Ernesto”Ché” Guevara was also briefly head of the central bank in Cuba, his huge portrait adorns not only the Interior Ministry at the Plaza de la Revolución, but also, as a revolutionary hero and former boss, the 3-Peso Nacionales banknote. Besides the El Ché banknote, there is also the 3-peso coin with El Ché portrait. Since it is Pesos Nacionales, the peso piece is relatively worthless, it is typically used as toilet money. The value for you lies simply in whether you would like to have such a coin as a souvenir, e.g. as a lucky penny in your wallet! CUC, pronounced “C-U-C” by the Cubans, is the ISO code designation and stands for Cuban Convertible Peso, although it is not freely convertible. It has only replaced the freely convertible dollar since 1994. 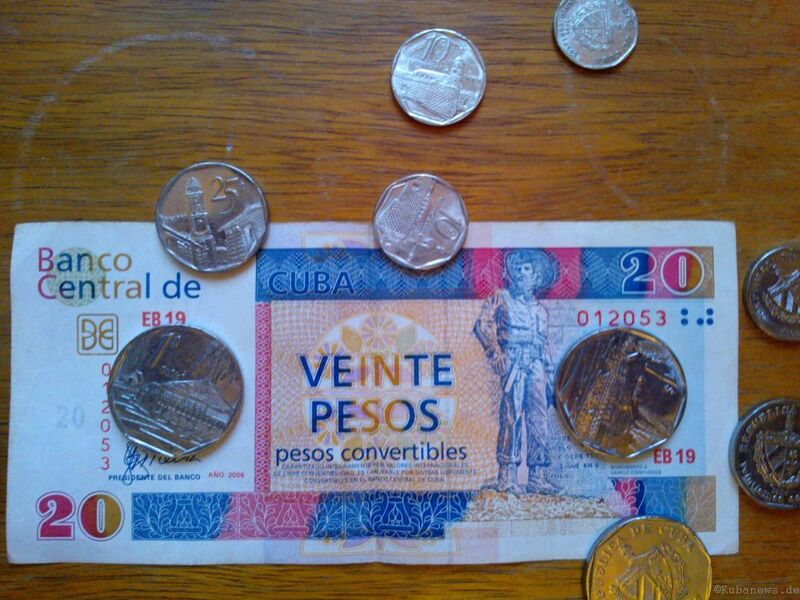 The Pesos Cubanos are abbreviated as CUP, other terms are Peso Nacional, Moneda Nacional. 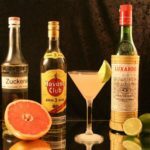 The export of CUC is not allowed, so there is officially no CUC to buy outside of Cuba. For us this means: take Euros, Canadian dollars etc. with you and change them at the airport or withdraw money with your credit card. In Havana, by the way, there is a second exchange office on the upper floor of the airport and there,. the queue is not that long. A short comment on cash and credit cards: take both with you, cash and a credit card (no dollars on which there is a penalty tax). Sometimes the ATMs don’t work, sometimes you won’t find an open exchange office – so always have both types with you. Visa is more widely accepted, Master Card should also go to on most ATMs, if not, you can get money in banks and exchange offices. Discussions have been going on for some time – and first steps are already being taken – to reunite the two currencies or to abolish the CUC. More and more state owned shops now also take Pesos Nacionales and no longer only CUC. In the business sector, the change is also in full swing, but there are strategic problems with the changeover, e.g. what happens to companies’ debts, should they be converted accordingly? That could pose a huge problem for many Cuban companies! My contacts from the economics faculty at the University of Havana can’t tell me exactly what will happen now. 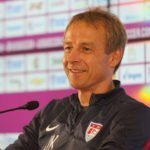 In principle, however, Cuba has problems similar to those with the West German and the East German Mark and how to find a fair conversion rate between those two. Currently it is quite probable that the changeover is not happening, because the costs are too high – there are quite some costs in print new banknotes. But more importantly, how will companies’ debts be converted and how many people will become unemployed – these are the real costs that the economy could face in the event of a changeover. Cubans are currently trying to change all their money to exchange into hard currencies, dollars or euros, to be on the safe side – the black market is flourishing! In a few years there will only be the Pesos Convertibles and then time of constant confusion and troublesome calculations will be over. PS: For great Cuba pictures, you can follow us on Instagram or Pinterest! 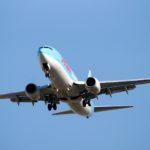 Calls from and to Cuba – how does it work? 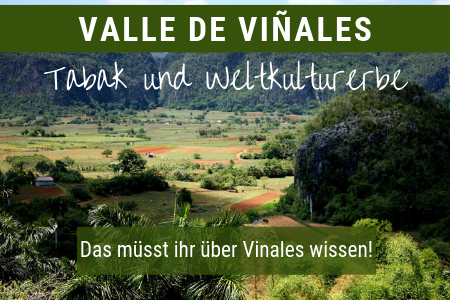 © 2019 Cubanews. Theme by Anders Norén.